New tokiSea Print--The Kanga Care Changing Pad is a must have for every changing station, nursery, car, diaper bag, living room and everywhere. 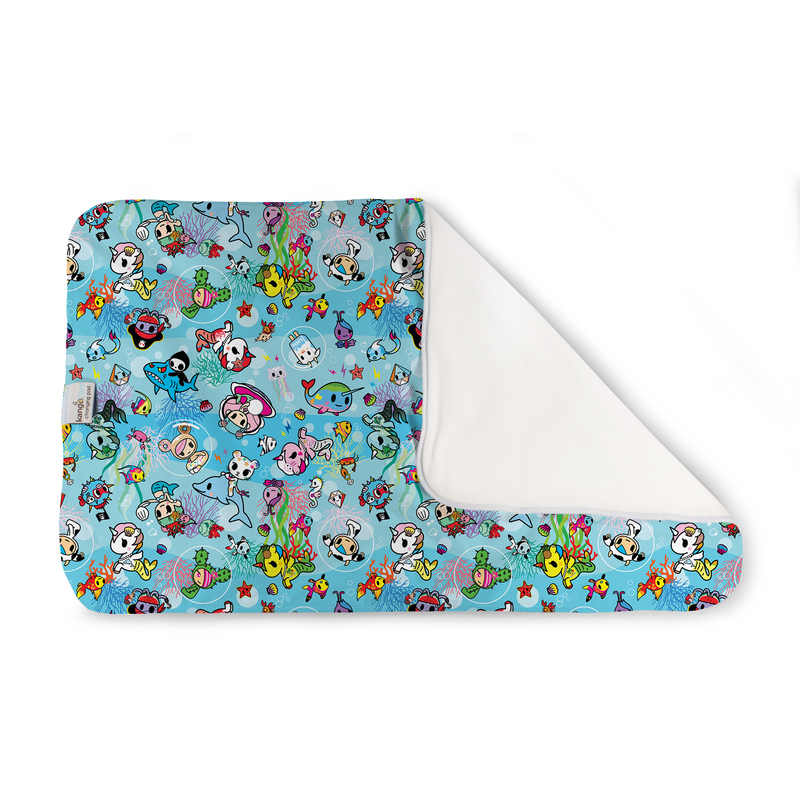 This changing pad is the perfect size at 24" x 15", great for changing your newborn or your toddler. The Kanga Care Changing Pad provides a protective and padded surface wherever you may be. The changing pad is 3 layers thick; a 100% hypoallergenic microchamois layer, one layer of absorbent microfiber, and a layer of water resistant polyester TPU which comes in a variety of fun colors and prints. Machine washable. These changing pads are great for replacing the free changing pad that came with your diaper bag that is too small! Use these as emergency car seat protectors and waterproof burp blankets.